Founded in 2015 by the Piaggio Group, Piaggio Fast Forward creates lightweight, intelligent mobility solutions for people and goods. 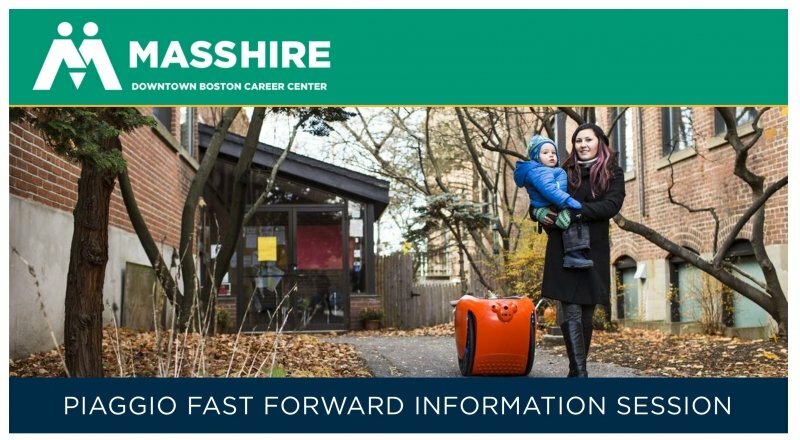 Based in Boston, MA, the company is dedicated to helping people move better, further, faster, and more enjoyably. PFF’s first product is gita®: a mobile-carrier that follows people on the go carrying up to 45 pounds. gita® encourages an active lifestyle for anyone who seeks to move with efficiency and ease, from millennials and parents to seniors and disabled individuals. To learn more about how you can join the team as an Assembler, CAD Designer, Production Supervisor, Graphics/GPU Software Engineer or Quality Inspector, sign up to attend this session!